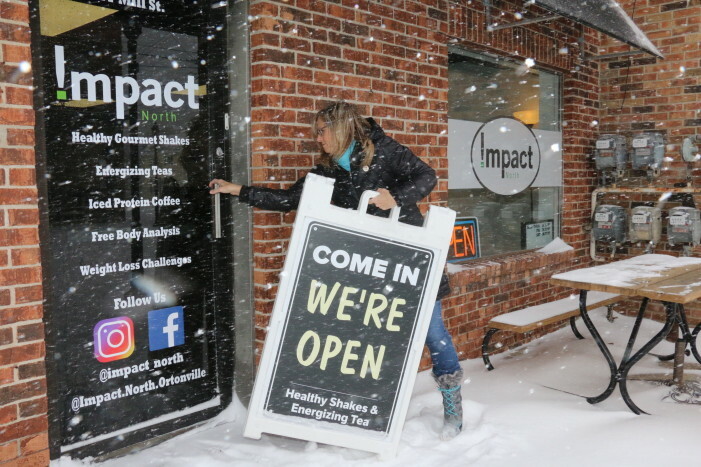 Merritt Dietz, owner of Impact North in downtown Ortonville, brings in the open sign on Jan. 28. Due to the snow, the business closed at 1 p.m. on Monday. 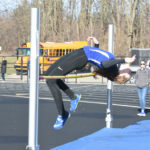 Photo by Patrick McAbee.